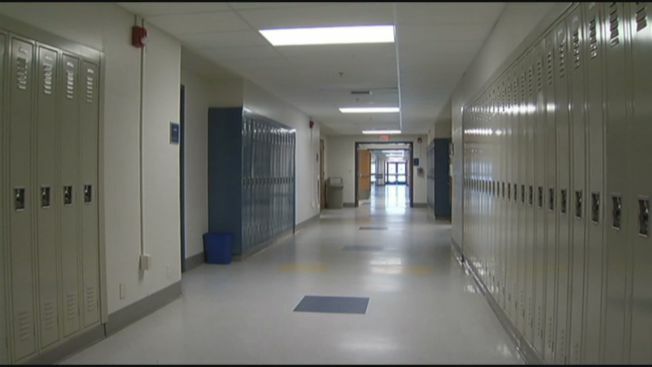 The tragedy at Sandy Hook Elementary has inspired a new push for school security. In Milford, the city is hoping to add four new officers. Two of the officers would be full time at Milford's two high schools. The other two would roam between middle and elementary schools. "I think it's a great idea. I think the more protection for our kids the better," said Jennifer Israelite of Milford. She has three elementary school aged kids. She's also a teacher in another district. "If we can have a presence of a police force and be there it never hurts." "They're a liaison between the school community and the community at large and the police department," said Jeffrey Nielsen of Milford Police. It's a community that is not far removed from the events at Sandy Hook Elementary. "People do think about it. It's close to home," said Nielsen. "They are not just there for that physical presence and that armed guard concept so to speak." Officials expect to discuss the officers roles and the price tag during a public hearing Tuesday night. The plan could run about $300,000. "Where does it end? You have officers in the schools. Tomorrow you'll have officers in hospitals, malls, is there an end to all this?" said Vivek Gupta of Trumbull. "I think there is a bigger endemic problem, a systemic problem that needs to be solved." The public hearing will be Tuesday night at 6:30 at City Hall in Milford.